Home » universities » Check Out This Beautiful Work of Art! 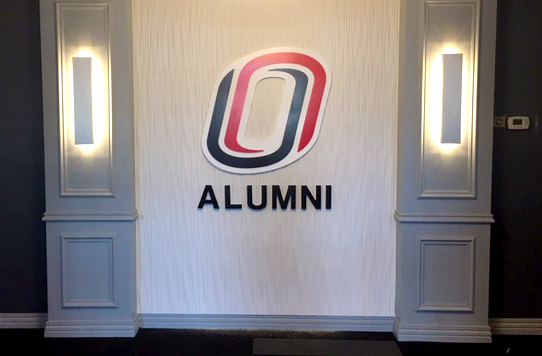 We just produced this sign for MCL Construction at University of Nebraska-Omaha Alumni Association. This sign is a ¾” painted white acrylic (background), ½” acrylic painted red and black that is “router inserted” ¼” into the ¾” painted white background. The ALUMNI letters are 7” tall on painted black ¾” acrylic. For those of you not in the sign world, this is a truly unique and beautiful sign can only be achieved by our talented employees at Curzon! Not just any company can provide this artistically hand painted sign! It's just one of the many ideas we bring to life for our customers!